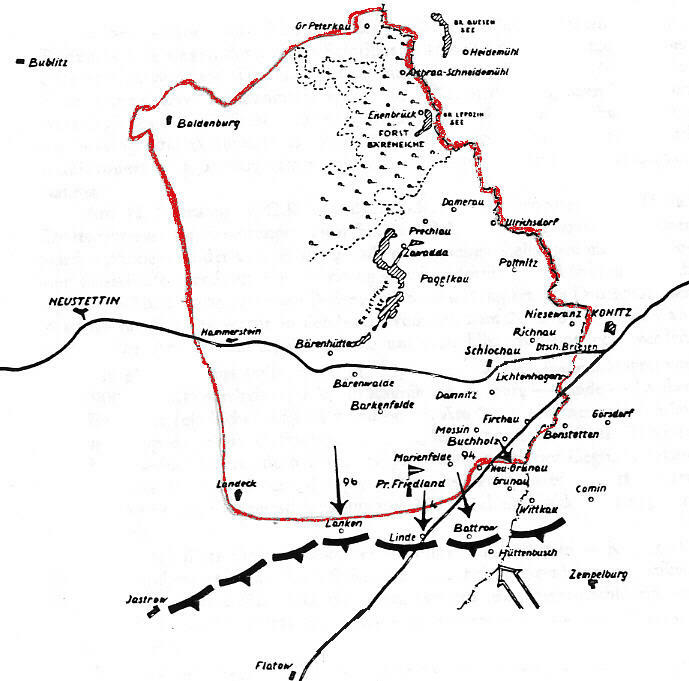 The 32 Infantry Division had begun the war in the area of Flatow. of yet the area in which the occupation was taking place was unknown. by whole bands of planes. 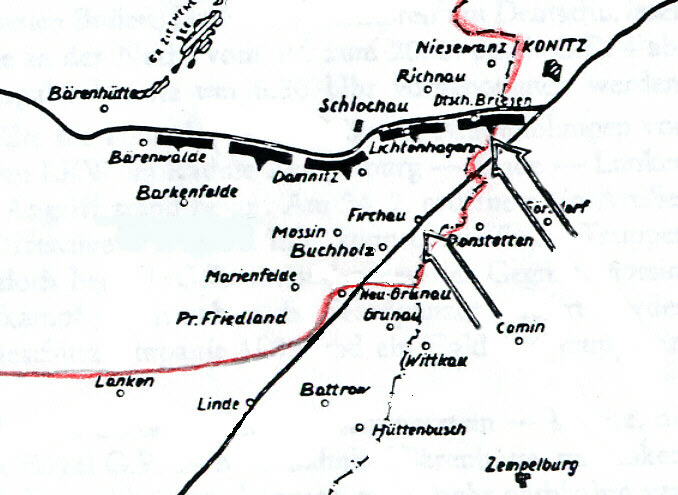 Krone, Netzekreis, Friedeberg, Arnswalde, Pyritz and Greifenhagen. against the city of Kustrin. Marienfelde. At the same time the GR 4 attacked the place of Linde. clearly seen their assignment as they fought for their home area. that had been overrun by the enemy. seemed more threatened GR Jutland was inserted there. 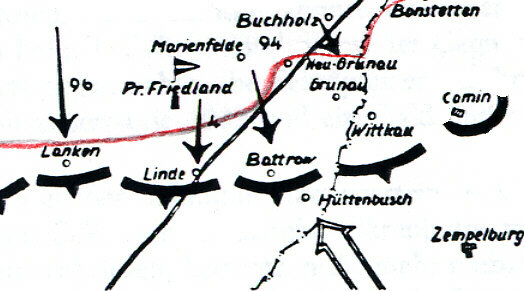 the existing forces. The division changed over to the defense. 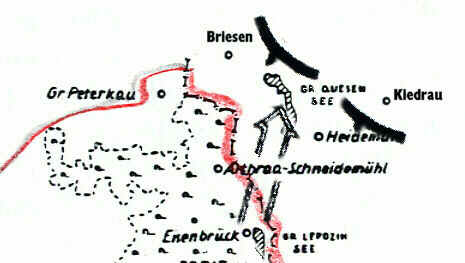 the division who had fallen in Linde and Grunau. front lines. The pressure of the enemy once again reduced. readiness for use at that spot. tank gun) They got themselves ready for an attack on Görsdorf. 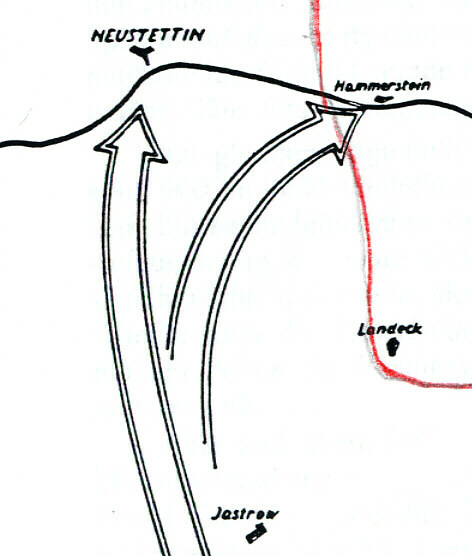 enemy movements from there to the north were successfully fought. 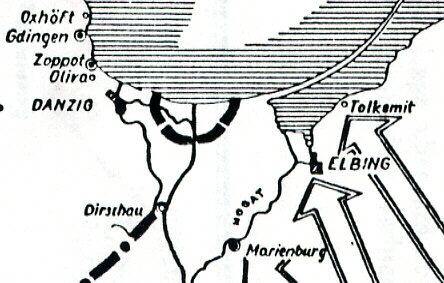 became more active on the eastern front between Elbing and Flatow. neighboring sections the defensive battle was not as successful. 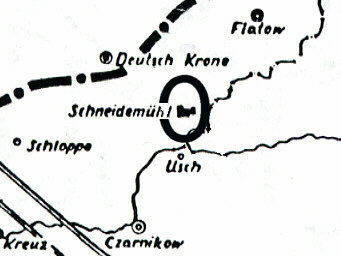 because of the heavy enemy fire during the day it was no man’s land. situations hold the danger with successful fire. 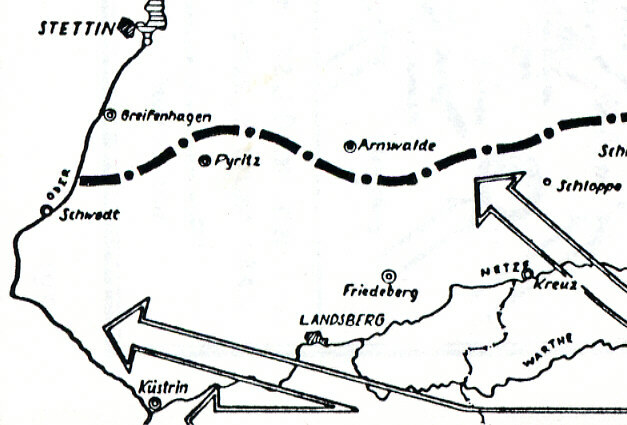 area of the first battalion of GR Jutland, the enemy took Mossin. Briesen could not be held anymore. bridgeheads over the ice of the river Oder. commander of the 11th Panzer Army. defensive area into two parts. 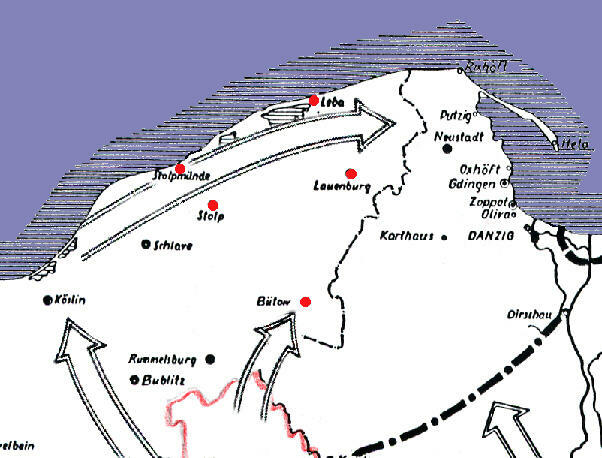 by Zawadda again found a connection with the infantry division 32.
replacement battalion 32, south of Damerau, the enemy broke through. 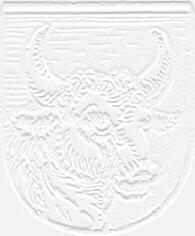 subordinated to infantry division 32, was able to hold Pagdanzig. 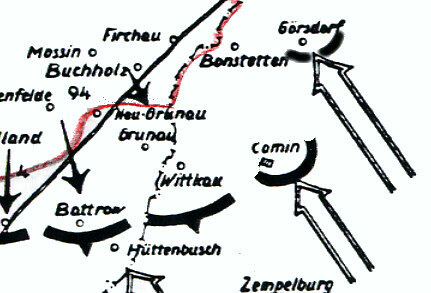 of Neutstetin through which Russian troops streamed to the north. through the forest Bäreneiche westward over the Gross Lepezin Lake. Gross Peterkau to which it was subordinated. 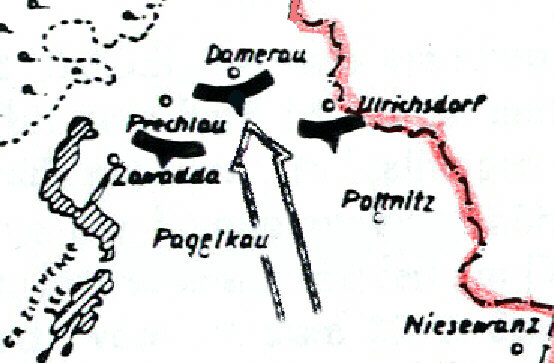 second Russian attack was aimed at the mouth of the Oder River. hoped to escape from being surrounded by way of the Baltic Sea. occupation moved forward without stop. 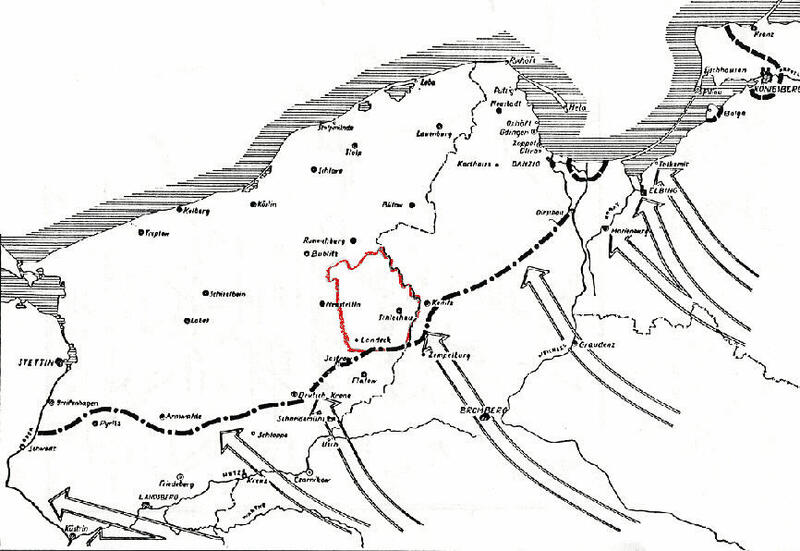 March all of east Pomerania was occupied. 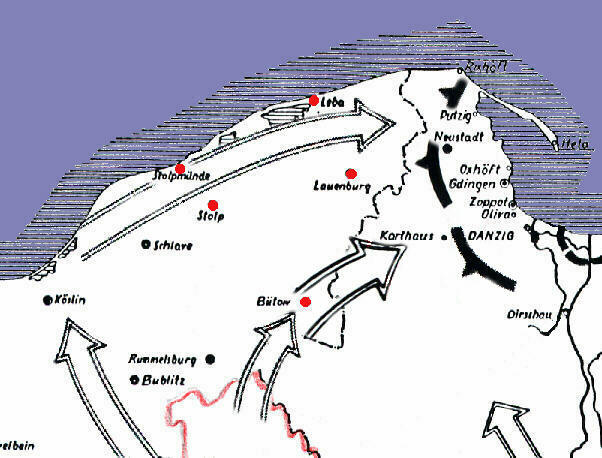 The left wing of the German 2nd Army stood since the end of Feb.
happy that it could defend a significantly smaller area. 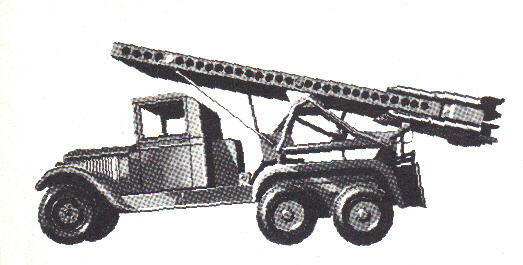 A Kaytusha rocket launcher used by the Red Army, also called a Stalin Organ. American Forces in Italy until I was taken prisoner in early 1945. And yes, I still have nightmares. My brother is still missing in action since January 1945 near Radom. still children when they gave us a rifle and told us to kill people. e) shortage of gasoline, diesel, supplies, and equipment. 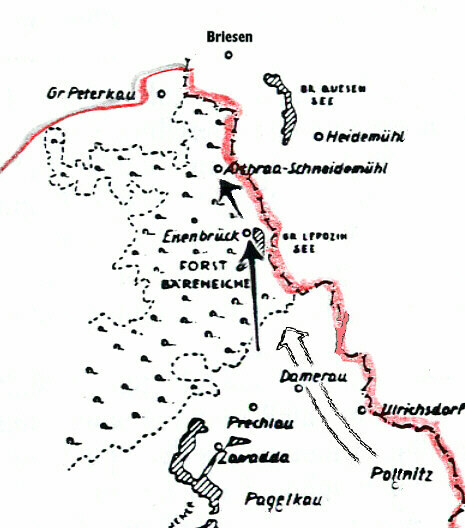 consisted of the LI.Gebirgskorps and the LXXVI. PanzerKorps. 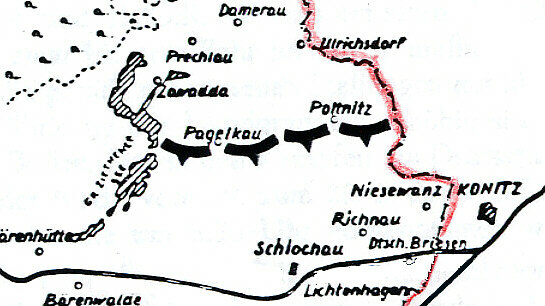 The 14th Army consisted of XIV. Panzer Korps and the I.
to take care of the wounded ocasionally. 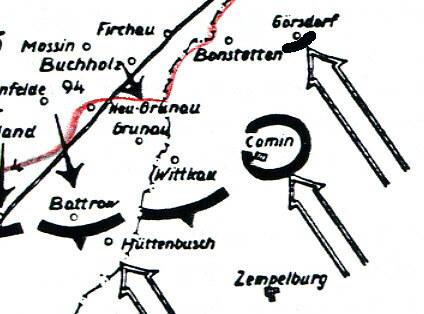 some German troops fighting, and we tried to break through to them. keep on fighting, the other half wanted to surrender. and inasmuch as the war was practically over anyhow, we surrendered. considering everything, it was a fair fight. my hometown HAMBURG on April 9, 1946.
one of the hundreds of air raids on Hamburg. And when I came "home"
Chicago. It took me 5 years to get a visa. a blistering dough. I was in Italy at that time with the LXXVI. 1200 degrees. And nobody will ever know how many people perished !! parents were alive, but we had lost everything we ever owned..
the last one he sent. family Hackert. The child became sick and died because of diptheria. She is buried in Mossin. She was one and a half years old. letters written to his family and about his ideas about the world. 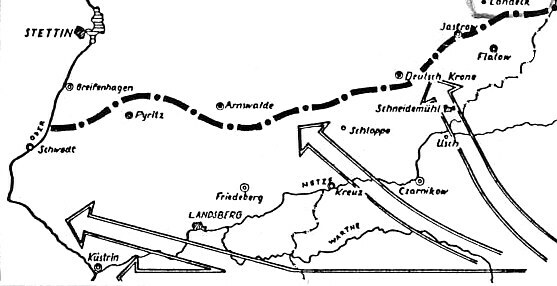 the train has to stop for two days while the RAF was bombing everything. her from the hospital home. Thursday morning our little honey died. could not breath anymore. She also had heart problems. girl alone. Soldiers made her grave at the graveyard of Mossin. grief, behind you only the black fate. from a lot of war problems. We are in home by a good family. We have eggs, butter, sausage, etc. I stay in Germany, but after some time we will be fighting again. bombings and then to Hamburg. In April she reached Holland. Halbe. There he is re-buried, after a first grave in Luckenwalde. now we accept his life, not his choices.